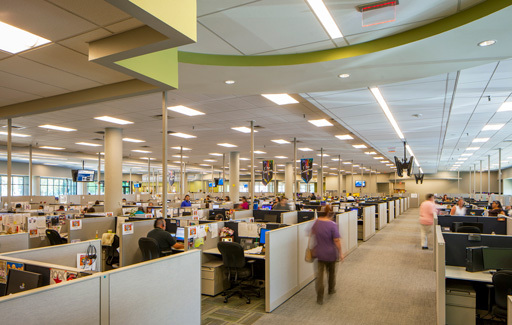 Lowe’s customer contact center in Albuquerque renovated two existing office buildings into a new, modern office environment totaling more than 95,000 sq. ft. 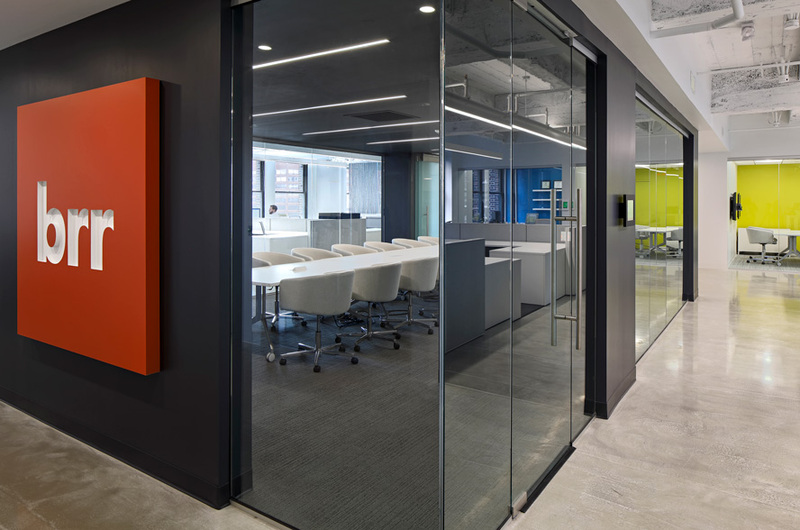 The redesign of the facility, which houses 1,100 employees, capitalizes on the building’s curved glass exterior to increase natural light and enhance the openness of the space. New workstations, private offices and general support spaces, a full kitchen/cafeteria, coffee shop, training rooms, on-site pharmacy and nurses’ station were added to the facility as part of the remodel. The design effort had to be sensitive to several key project components like way-finding, security, I.T. infrastructure, spatial relationships and providing a quality work environment to staff. Within the open work environment, manager work stations are strategically integrated throughout the work areas to efficiently support team collaboration and interaction.